A number of men with migrant backgrounds have been convicted of a trio of murders in a Stockholm suburb, where a man was shot dead then a witness and his wife were brutally murdered. Fouad Saleh, 22, described as a leading figure in the local crime scene, was handed a life sentence for the murders, which took place in Hallonbergen last year. 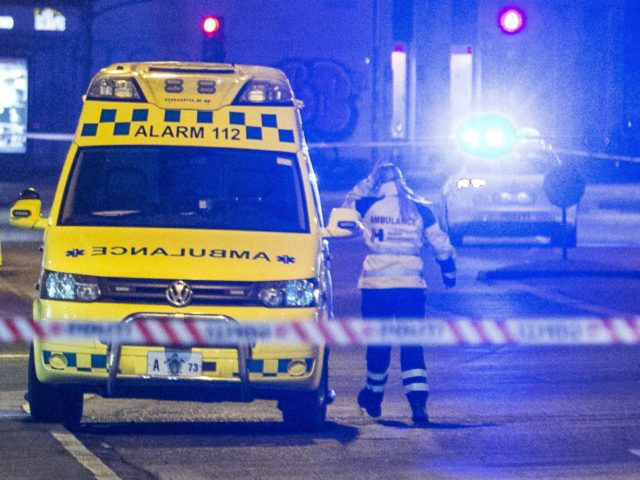 The first murder investigation began in January 2017, when a seriously injured man turned up to Karolinska University Hospital and told staff he had been shot at a garage but managed to escape. The victim said he was shot at again after his car was rammed off the road as he tried to make his way to hospital. With gunshot wounds to his head, body and arms, the man died in hospital. Police were soon contacted by a 39-year-old who described seeing from his balcony the sight of several young men, some of whom he could name, running out of the garage and chasing after the victim on the night of the attack. Six weeks later, on March 7, Saleh, along with 23-year-old Mikael Chamoun and an unnamed 17-year-old, broke into the apartment of the witness, who was out walking his dog, and stabbed his wife to death with a knife. Upon returning home, the 39-year old called 112, telling emergency services staff his wife had been killed in the apartment and that Saleh and Chamoun were inside. Local media reported the victim said, “Please, I don’t want to die,” before he was dragged away, beaten, and stabbed to death by the youths. Charmoun was sentenced to 14 years in prison while the third assailant, who was 16 at the time, was ordered to spend three years in institutional youth care. Munir Nooraldin and Amir Jabbari Taklar were convicted for the garage murder along with Saleh for the garage murder, and sentenced to 10 and 12 years prison respectively. An investigation by newspaper Expressen into gang-related violence in Stockholm — the site of 552 shootings linked to criminal gangs between January 2011 and last year — found that 95 per cent of 192 individuals confirmed by police as involved in the capital’s organised crime scene had a migration background.